St. Philip Neri Catholic Primary School offers numerous extra-curricular opportunities for students. 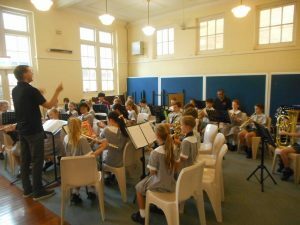 Children can join the school band. Music tutors also provide lessons for children learning a musical instrument. This program is run by Teaching Services. Students attend clinics for soccer, rugby, cricket and Aussie rules. We hold successful athletics and swimming carnivals. 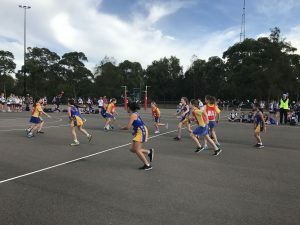 Children from Year 2 onward are able to participate in diocesan gala days for netball, soccer, basketball, cross country, athletics and swimming. Several elite athletes are chosen to represent Polding at the state level. Years 3, 4, 5 and 6 students participate in a Surf Awareness program at Manly Beach. Senior students are selected to participate in the Lower North Shore Cluster Public Speaking Competition. Stage 3 students are involved in a Debating Circle with neighbouring schools in the North Shore Cluster. Children from Years K-6 have the opportunity to participate in the School Chess Coaching Classes operated by The Sydney Academy of Chess. Classes are held before school from 7:45am to 8:45am each Friday morning during the school term. Children have the opportunity to study French with LCF French Clubs. Classes are held before school from 8:00am to 8:45am each Wednesday morning during the school term. Bricks for Kidz:, a club designed for children to investigate Science through Lego.